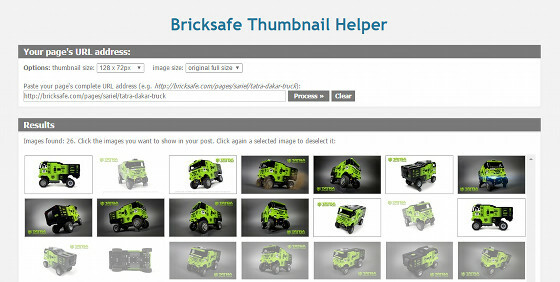 A brand new tool added – alternative to the Brickhelf Thumbnail Helper tool with more options. As Brickshelf is experiencing yet another downtime, I’ve decided to use a more modern alternative for storing your photos – the Bricksafe – which has a number of advantages, including modern interface and apparently better reliability. Since there is no integrated sharing tool that would make it easy to share Bricksafe galleries across forums, I’ve decided to create my own, similar to the Brickshelf Thumbnail Helper tool I’ve created before. The tool has one simple goal: to allow sharing galleries by a few clicks rather than manually copying links. In order to do so, it scans the desired Bricksafe page, extracts photos from it, and then generates BBCode for the photos you’ve selected. Pasting the generated code in your forum post creates the gallery. when you see the available thumbnails, click the ones you want to share. You can also click a selected thumbnail again to deselect it. Note that for the tool to work, the desired Bricksafe page has to be publicly available. At the moment the tool is also limited to extracting the first 100 photos from the page. 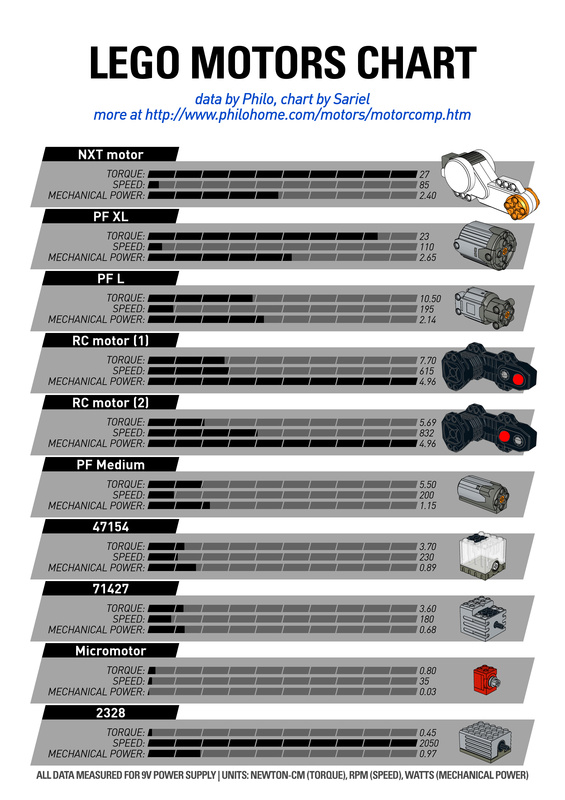 The tool is available directly at bs.sariel.pl and – along with all my other tools – at tools.sariel.pl. You can also switch between the various tools using expandable toolbar in the upper left corner of your screen. My name is Prasad Kuvelakar and I am a principal of engineering college based in Mumbai. 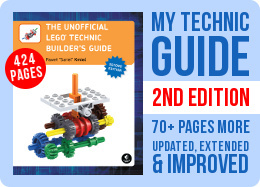 I have recently come across you book “The Unofficial Lego technic builders guide” and I highly recommend this book to my students. What I would like to ask is do you know from where I can get a bulk copy roughly 4000-5000 books. Who do I contact in order to get these many copies of your book. I’m sure your hamster is in a happy place now. My Pet hamster Dojo just passed away today I really feeling very depressed. I just rember about you and and hamsters and I hope I will receive consolation from you and your hamster overlords.